In the admin area you can check statistics of all members promoting your site, which pages are they using and in which sites they are promoting, with option to ban specific sites from the contest (for example autosurf sites) and you can define extra points for promoting on sites you prefer. This list of sites is show to the members with your own referral URL. 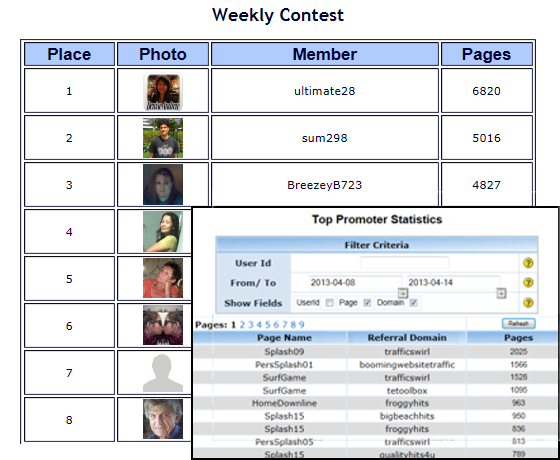 Admin pages to setup your contest prizes for top promoters or random promoters, add/ delete banned sites, define points per site, approve custom member splash pages and view statistics of promotional pages.